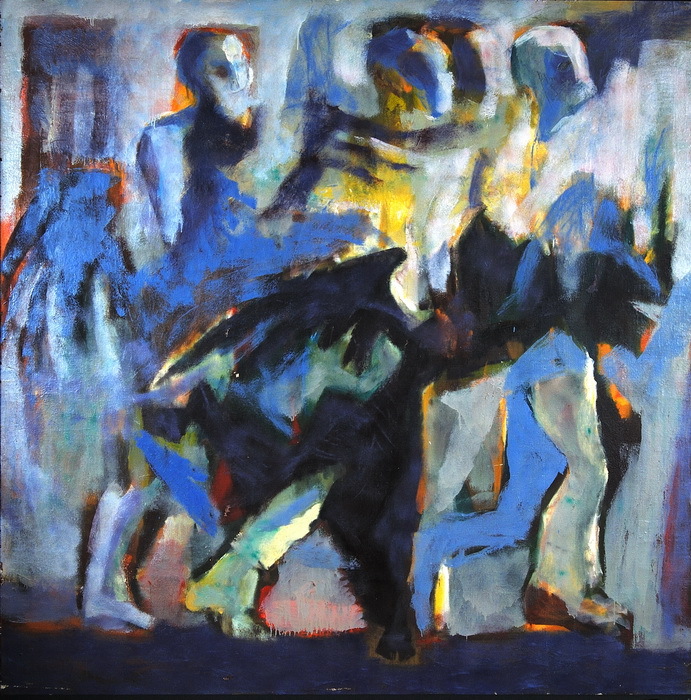 Müslüm Abbasov, The Blind, Oil on canvas, 170x170 cm. 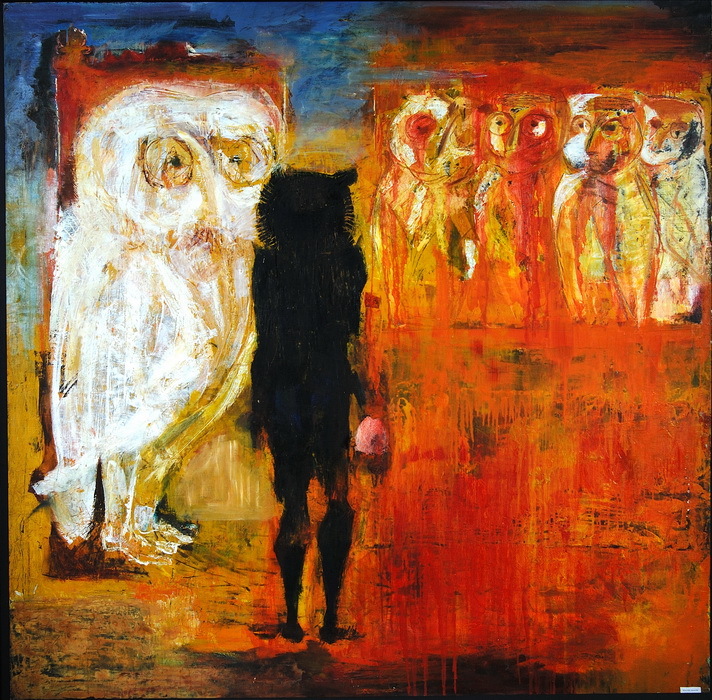 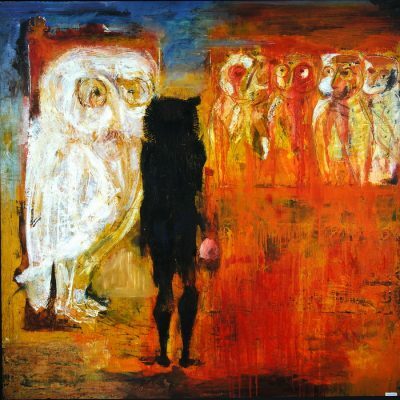 Müslüm Abbasov, Owl, Oil on canvas, 167x170 cm. 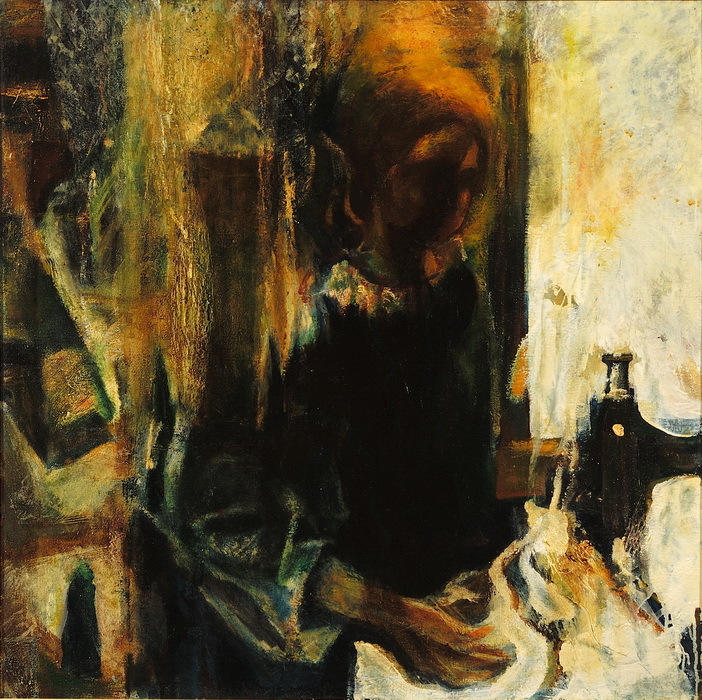 Müslüm Abbasov, Tailor, Oil on canvas, 90x90 cm. 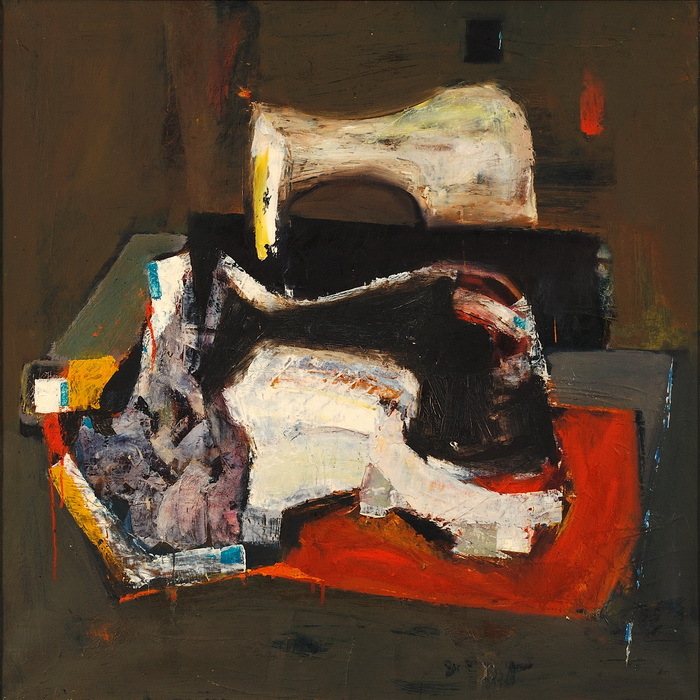 Müslüm Abbasov, Still life with sewing machine, Oil on canvas, 80x80 cm.